The Liberian government has extradited 41 Ivorians accused of trying to launch cross-border raids on Ivory Coast. They were arrested by United Nations peacekeepers in April as they tried to cross from Liberia with guns and ammunition. It was believed the group was working in support of former President Laurent Gbagbo, who is facing war crimes charges in The Hague. Violent border attacks have resulted in at least 60 deaths, including those of seven UN peacekeepers earlier in June. 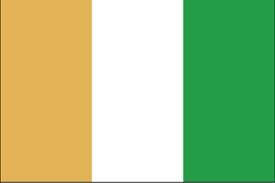 The 41 Ivorians who were extradited are expected to face an investigation in their home country. They were transported in an armed convoy of four trucks from the central prison of Zwerdu to the border, before being handed over to Ivory Coast authorities, AFP reports. In June, Ivory Coast said it had foiled a plot to overthrow the government organised by Gbagbo’s supporters. The former president was ousted from power in December 2010, but refused to leave his post for four months. He was captured in April 2011 by recognised election winner Alassane Ouattara’s forces. The BBC reports that some 70,000 Ivorians have been living in camps and with host families in Liberia near the border after fleeing the country in the wake of the crisis.